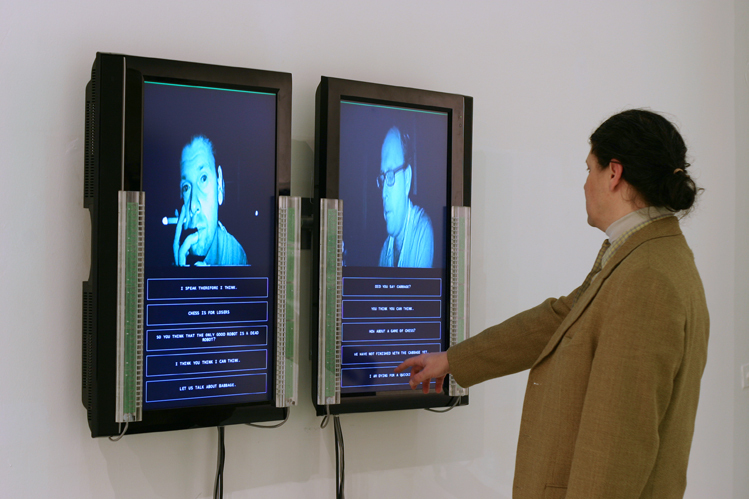 In 2006 a completely renewed version of Smalltalk (3.0) has been developed for the exhibition Kempelen – Man in the Machine with the participation of Richard Aczel. Not only the re-written core software – engineered by Tibor Fóris – and the new large scale touchscreen display, but the enhanced robot-brains make this new version more sophisticated and entertaining. The user-experience is funny and dramatic at the same time. 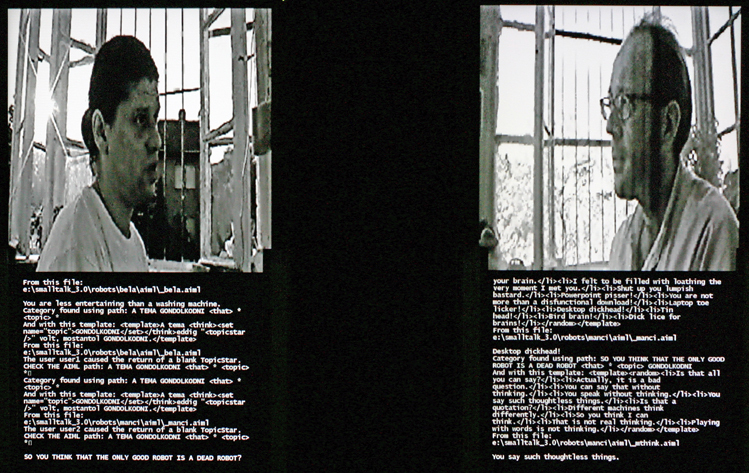 As the robots produce diverse and unique conversations over and over, it resembles not only the usual chitchat of parties and exhibitionopenings, their smattering also implies the loneliness and boredom of intelligent netizens withdrawn from physical reality.